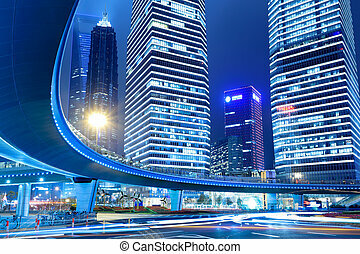 night scene of the lujiazui downtown in shanghai,China. 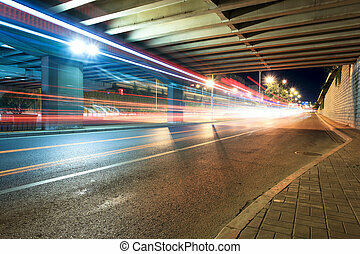 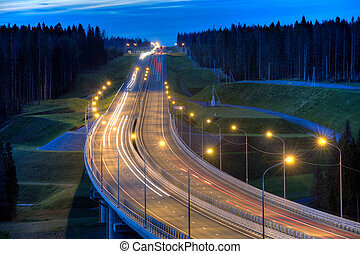 Night lighting of the highway bridge in the forest. 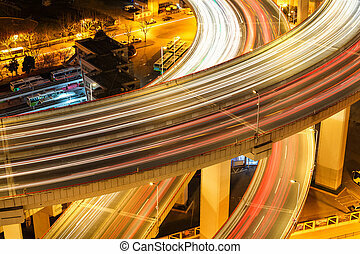 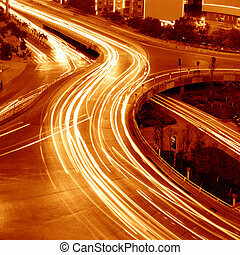 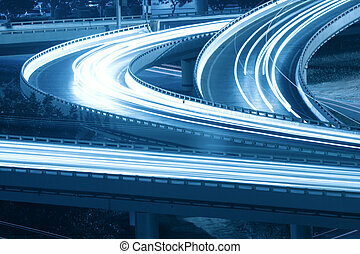 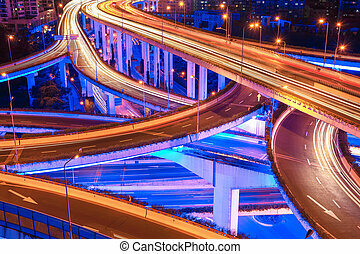 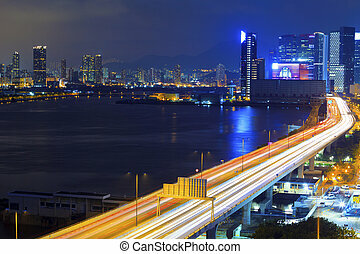 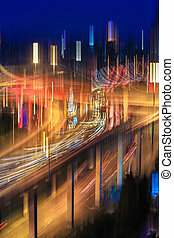 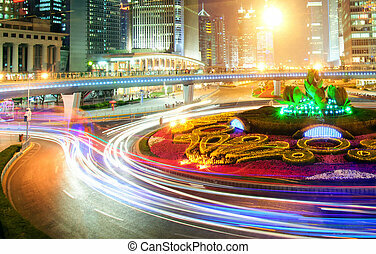 Night, the city of Shanghai car light trails. 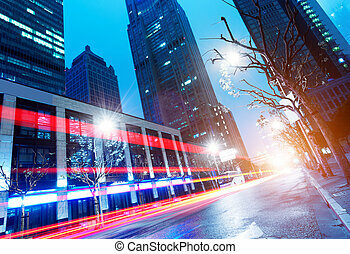 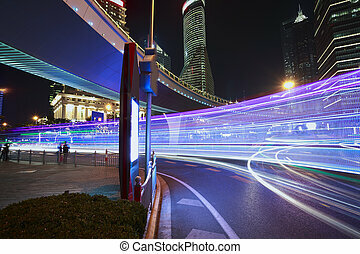 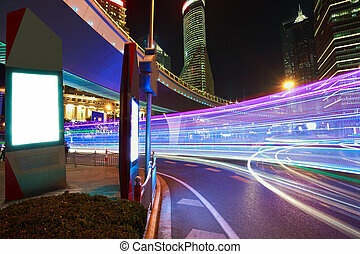 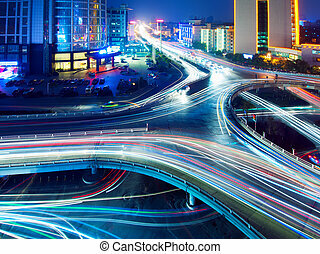 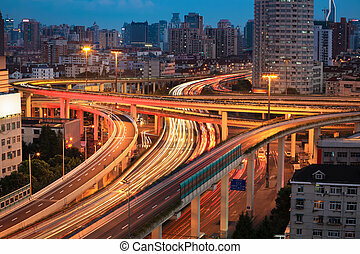 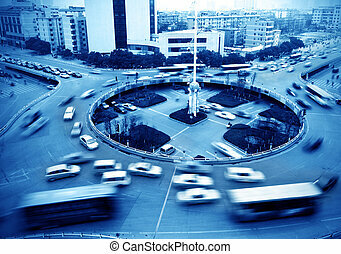 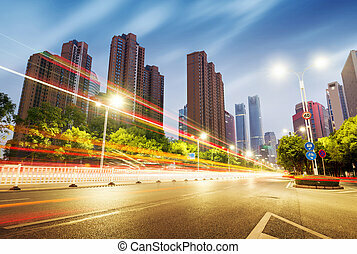 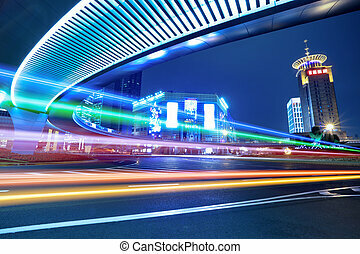 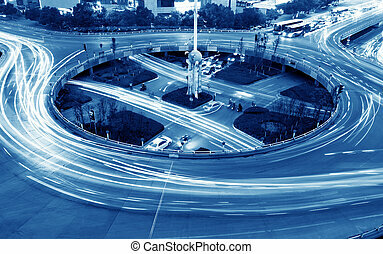 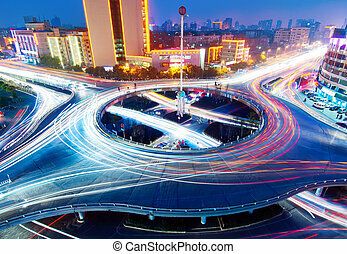 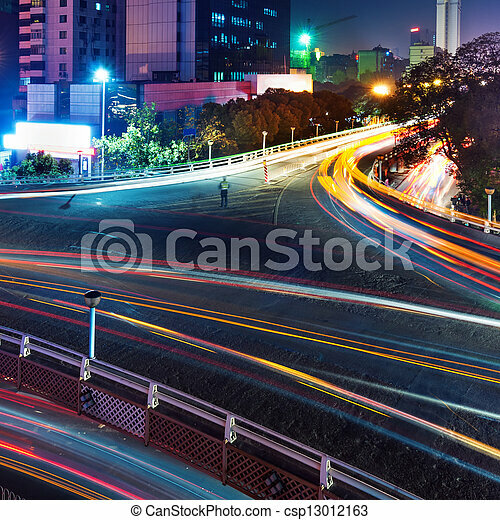 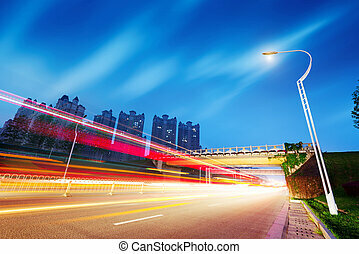 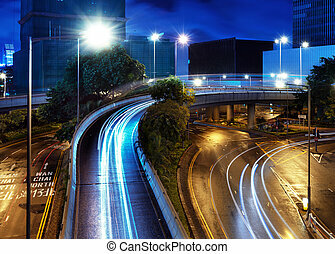 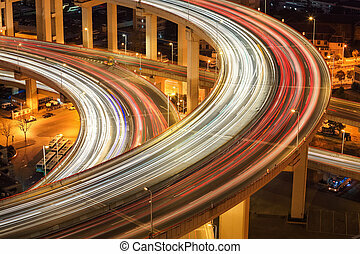 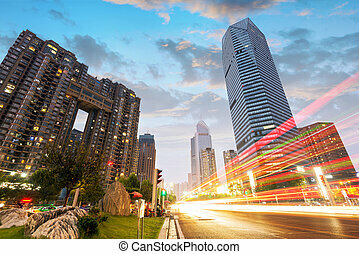 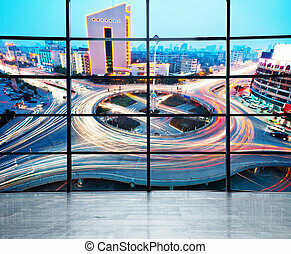 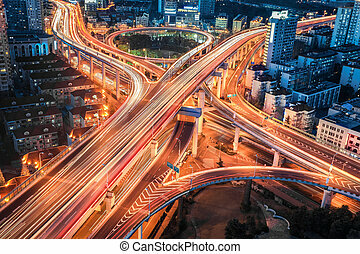 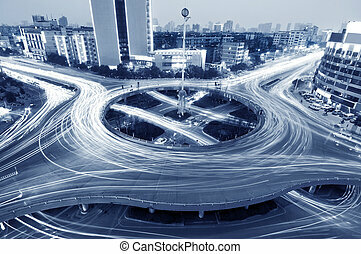 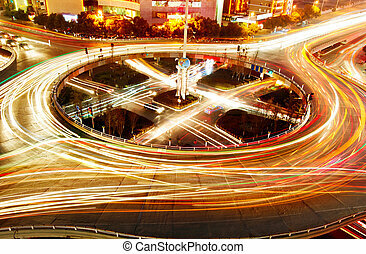 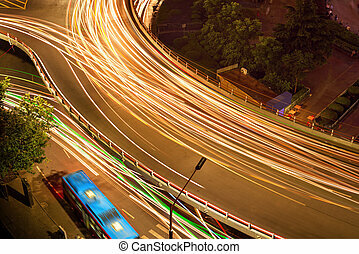 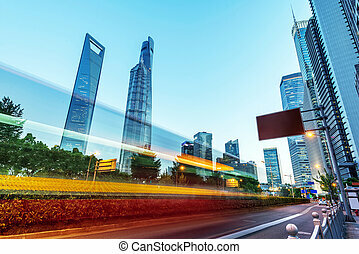 light trails on the street in shanghai ,China.